The city of Berlin, on the 20th anniversary of the fall of the Wall, has been bestowed with the 2009 Prince of Asturias Award for Concord. The Jury for the Award announced its decision today in Oviedo. The Berlin Wall, symbol Europe's reunification, was for decades the worldwide representation of the Cold War. 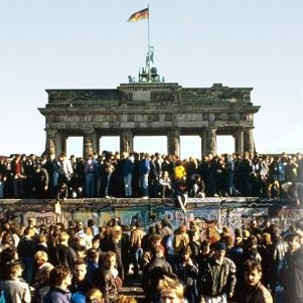 The peaceful revolution, which on 9th November 1989 lead to the fall of the Berlin Wall and subsequently to the reunification of Germany, has captivated millions of people worldwide, contributing significantly towards the reestablishment of the balance between the East and the West. This candidacy was put forward by Martin Schulz, Iñigo Méndez de Vigo and Andrew Duff, members of the European Parliament, and Enrique Barón Crespo, former president of the European Parliament. It was seconded among others by the Prince of Asturias Awards Laureates Luis María Anson, Vinton Cerf, Tzvetan Todorov, Michael Schumacher, Claudio Magris, Jürgen Habermas and the Goethe-Institut, as well as the German Chamber of Commerce for Spain. The city of Berlin, divided after the Second World War into four sectors under the control of the allied forces and the Soviet Union, became the permanent headquarters of the ideological confrontation between East and West. On 13th August 1961, the German Democratic Republic began the construction of a wall to isolate the western sector of Berlin from the GDR and to avoid the massive emigration of citizens from the east to the Federal Republic. The Wall created a border between not just ideologies, but also between families, neighbours and friends. On 26th June 1963, President Kennedy declared in front of the wall “Ich bin ein Berliner” (I am a citizen of Berlin) to convey that the West understood the tragedy of the city. The wall underwent several reconstructions up until 1986 in order to strengthen and improve the existing security measures. There remains no accurate evidence or statistics regarding the number of victims of the Wall. More than 75,000 arrests were registered and at least 138 deaths were certified of those killed trying to escape. A further hundred cases are now being examined. On January 1989, the first demonstrations demanding political reforms took place in Leipzig. By autumn thousands of citizens, wanting democracy and freedom, would demonstrate peacefully every Monday under banners proclaiming “We are the people’. In September Hungary opened its border with Austria to citizens of the GDR and thousands of Germans crossed a new breach in the iron curtain. On 18th October Egon Krenz replaced Erich Honecker in the post of Secretary General and Chairman of the Council of State. On 4th November half a million people congregated in Alexanderplatz in Berlin to push for democratic reforms. The magnitude of the street protests clearly demonstrated that the population did not trust the new government either. On 9th November, due to the pressure exerted by the people, especially after the demonstrations in Leipzig and Berlin, the Government of the GDR enacted a plan that authorised passes for visitors. Thousands of people crowded the border crossings calling for them to be opened. The Wall fell that night, marking the beginning of the end of the communist regimes in Eastern Europe. On 18th March 1990, the first multi-party elections were held in the GDR, giving rise to a provisional government whose main promise was to end the old regime. The bilateral negotiations between the governments of both Germanies lead to the signing, on 18th May, of an agreement for a phase of transition, a social, economic and monetary union which came into force on 1st July. Germany was officially reunified on 3rd October 1990. Through the tax known as “solidarity supplement”, the Government, since 1991, has been able to finance the reconstruction of the East. This year a total of 44 candidatures from Argentina, Bosnia, Brazil, Canada, Cuba, Croatia, China, Ecuador, United Arab Emirates, Ethiopia, France, Germany, India, Iran, Israel, Italy, Liberia, Nigeria, Palestine, Peru, Tibet, Turkey, United States, Venezuela, Zimbabwe and Spain ran for the award.